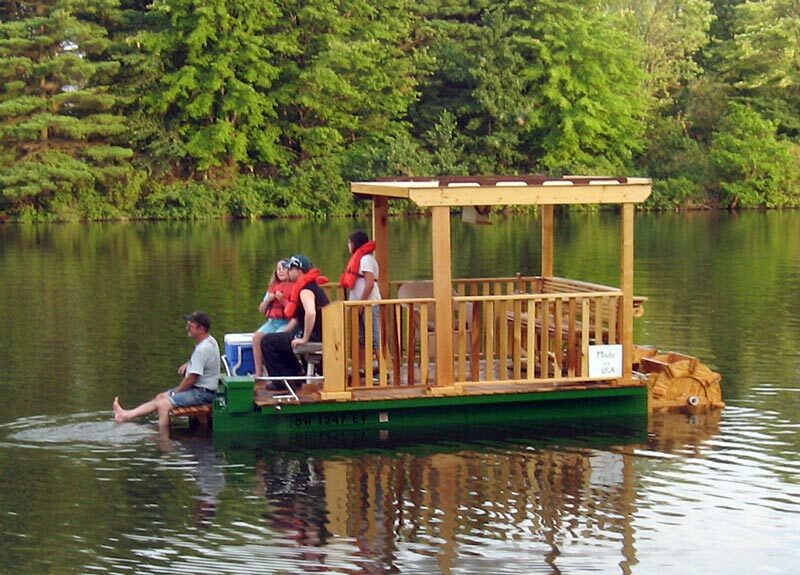 Pete McDonald and John Sherwood created this 12′ x 8′ pontoon boat to their own design, and called the BUCKEYE PADDLER. 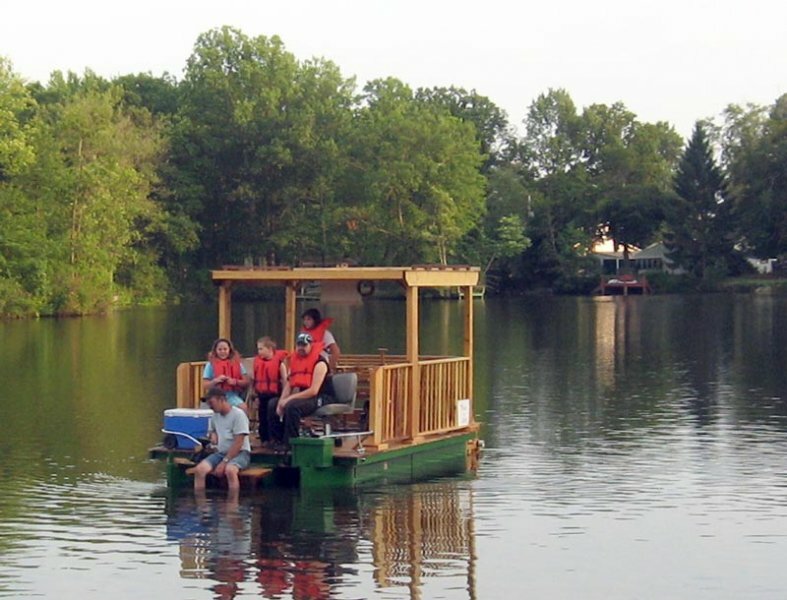 She is built with three pontoons, two with deep-v bottoms, the other flat bottomed. 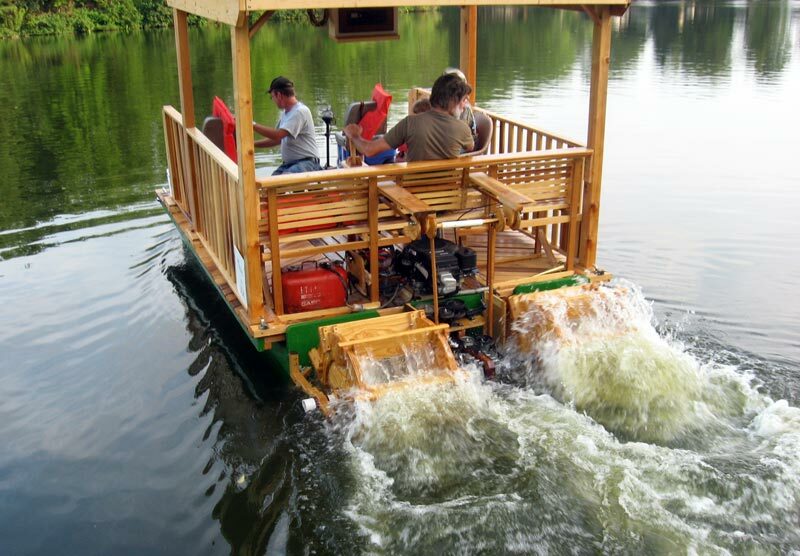 Two 30″ paddlewheels propel her through the lakes of eastern Ohio. They write that her intended use is to kick back and relax.